An array of general ideas useful in a wide variety of fields. Starting from the foundations, this book illuminates the concepts of category, functor, natural transformation, and duality. It then turns to adjoint functors, which provide a description of universal constructions, an analysis of the representations of functors by sets of morphisms, and a means of manipulating direct and inverse limits. These categorical concepts are extensively illustrated in the remaining chapters, which include many applications of the basic existence theorem for adjoint functors. The categories of algebraic systems are constructed from certain adjoint-like data and characterised by Beck's theorem. After considering a variety of applications, the book continues with the construction and exploitation of Kan extensions. 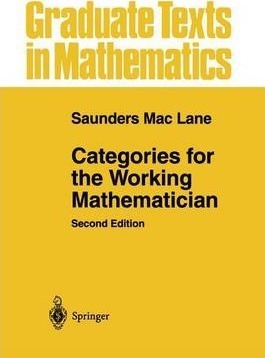 This second edition includes a number of revisions and additions, including new chapters on topics of active interest: symmetric monoidal categories and braided monoidal categories, and the coherence theorems for them, as well as 2-categories and the higher dimensional categories which have recently come into prominence. Illustrations note XII, 317 p.
1: Categories, Functors and Natural Transformation. 2: Constructions on Categories. 3: Universals and Limits. 4: Adjoints. 5: Limits. 6: Monads and Algebras. 7: Monoids. 8: Abelian Categories. 9: Special Limits. 10: Kan Extensions. 11: Symmetry and Braiding in Monoidal Categories. 12: Structures in Categories. Tables of Categories. Bibliography.